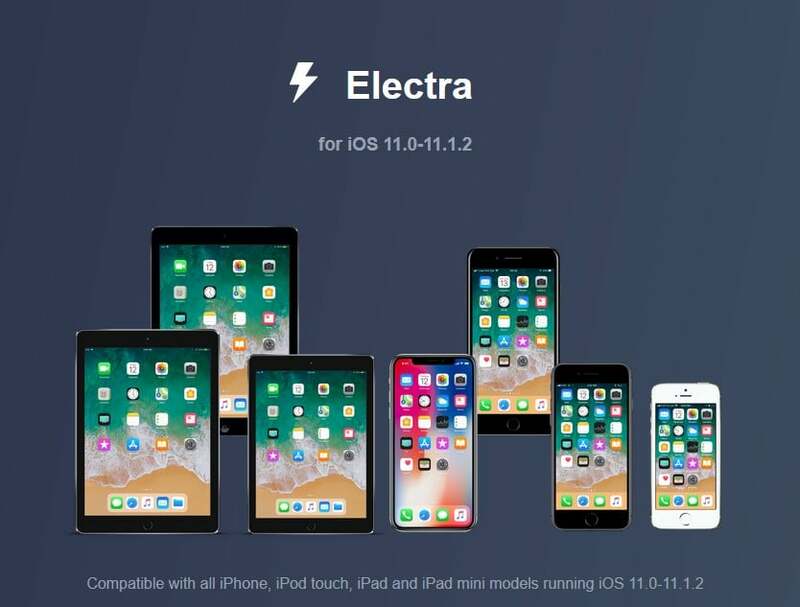 It’s now possible to download the new Electra 1.0.2 iOS 11.1.2 jailbreak. This new update fixes the 0.7 Strick error while introducing a number of new fixes and tweaks. We saw an update to the operating system with the 1.0 and 1.0.1 releases just a few hours ago, but it appears as if there was something else to fix – as evidenced by yet another update to this comprehensive iOS 11.1.2 jailbreak. There has been a good amount of drama coming largely from Saurik, the original developer behind Cydia, which is an integral part of the full functionality offered by the Electra iOS 11.1.2 jailbreak. While the jailbreaking community is largely collaborative in most cases, it appears as if developer CoolStar taking the initiative to release a Cydia update rubbed Saurik the wrong way, as he is now allegedly trying to block CoolStar’s efforts by releasing an APT update – breaking Cydia for Electra jailbroken devices. According to the release notes of the 1.0.2 version of the Electra iOS 11.1.2 jailbreak, this new update “fixes APT 0.7 Strict on devices that updated to the broken copy on Saurik’s repo, blocks package installation from Saurik’s repo, and fixes the last issue with liberiOS being detected as topanga (/etc/dropbear)”. Included alongside the update to this iOS 11.1.2 jailbreak was an official changelog that gives us a full look at what exactly changed with Electra 1.0.2. Saurik has stated in the past that he was currently in the process of bringing Cydia over to iOS 11.x.x, but there has been little word of progress on that front. CoolStar and the jailbreaking community got impatient with the lack of updates to this critical jailbreaking functionality, and he took it into his own hands to integrate the functionality of Cydia into the Electra iOS 11.1.2 jailbreak. While it may be somewhat understandable that Cydia is close to Saurik’s heart and seeing it modified by another jailbreaker could be frustrating, allegedly taking steps to break a cool feature for thousands of users could certainly be categorized as petty. Hopefully, moving forward, Saurik can sidestep any criticism and continue to provide us with an elegant solutionf or the iOS 11.1.2 jailbreak. If you’d like to download the Electra 1.0.2 update for this iOS 11.1.2 jailbreak, you can do so on CoolStar’s Website.